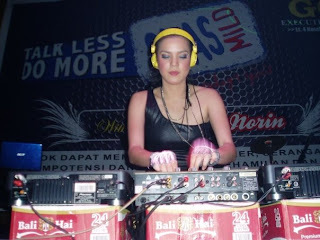 BATAM - Dazzle, sensual, energic, sensational and clever mix of dance music accompanied the dance floor roar, that's Alice Norin. 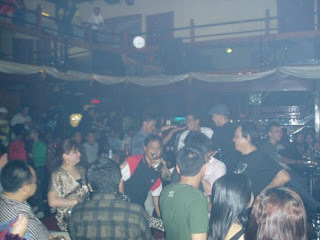 When movie stars Really Love this GG floor executive shake Nagoya Club Plaza hotel, on Thursday (03/12). That night, Alice appeared no more than 2 hours, Alice appears as the night started to heat up the stage executive GG Club. Visitors who no less than 300 visitors that night come floating in the concoction of Alice's dance music. 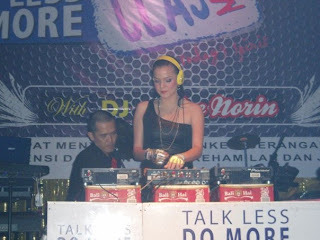 The concept held by DAD Production, as the organizers 'Class Celebrity Night With Alice Norin' is a party night with dance and trance music with Alice Norin. 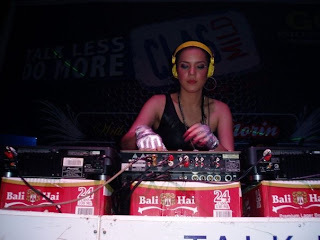 "We deliberately present Alice, where he is one DJ who is Female currently belantika Happening in Indonesia, especially dance music music "Said Ega from DAD Production. 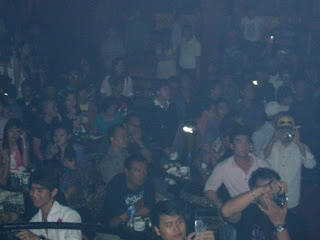 first dug her nails in Indonesia belantika entertainment. 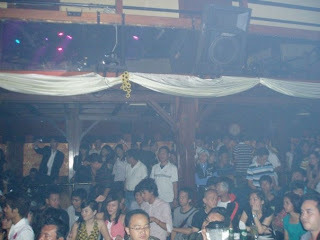 I hope all of them happy, all fun "Said Alice before starting the action that night wearing a sultry black dress. 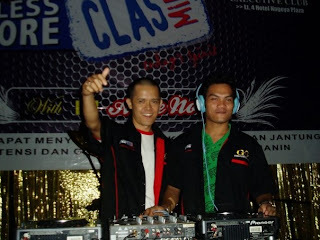 Overall mat Class Celebrity Night at the night, could quench the thirst of Batam will clubber live entertainment from DJ pretty Alice Norin.